Now serving the cities of Brandon and Portage la Prairie! Scoopy Doo loves dogs, which is why we donate to the Winnipeg Humane Society and D'arcy's ARC and provide free time and resources to the Manitoba Veterinary Association, the Winnipeg Humane Society, D'arcy's ARC, the Diabetes Foundation, and parks, community centers and green spaces in the Winnipeg area. Alive in the community: Scoopy Doo writes canine health and welfare articles for various publications. Scoopy Doo is knowledgeable about canine health and welfare and is active in helping dog rescue organizations.  Scoopy Doo Canine Waste Removal Inc. is a locally owned company which was founded in 1995. We have provided "poo-fessional” canine waste removal to individual's yards, commercial properties, apartment and housing complexes, as well as many dog-related fundraising events. Scoopy Doo is the official Pooper Scooper for the Manitoba Veterinary and the Winnipeg Humane Society’s Paws in Motion Benefit Dog Walk. At Scoopy Doo we take our professionalism seriously. We are a proud member of the association of Professional Animal Waste Specialists.